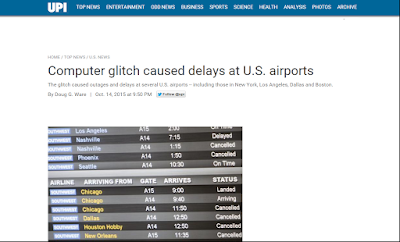 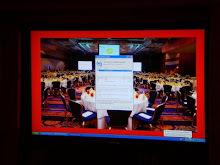 If the major media outlets are the only ones you read, you'd think glitches disproportionately affect travelers. 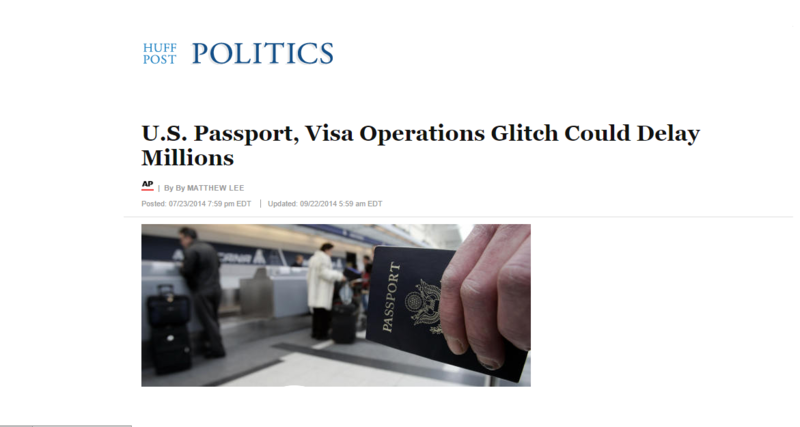 As reported yesterday by UPI, travelers were once again the "target" of an outage at a system operated by DHS that checks incoming passengers against a Customs and Border Protection watch list. 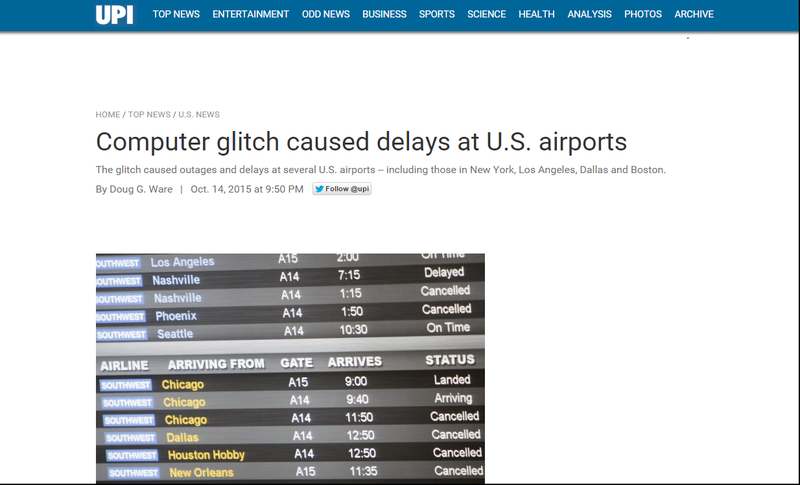 The glitch was relatively shortlived (less than an hour ot two), several airports reported long lines and delays. In July 2014, the State Department's global travel system, called the Consular Consolidated Database, suffered a glitch that resulted in delays for passport and visa applications.